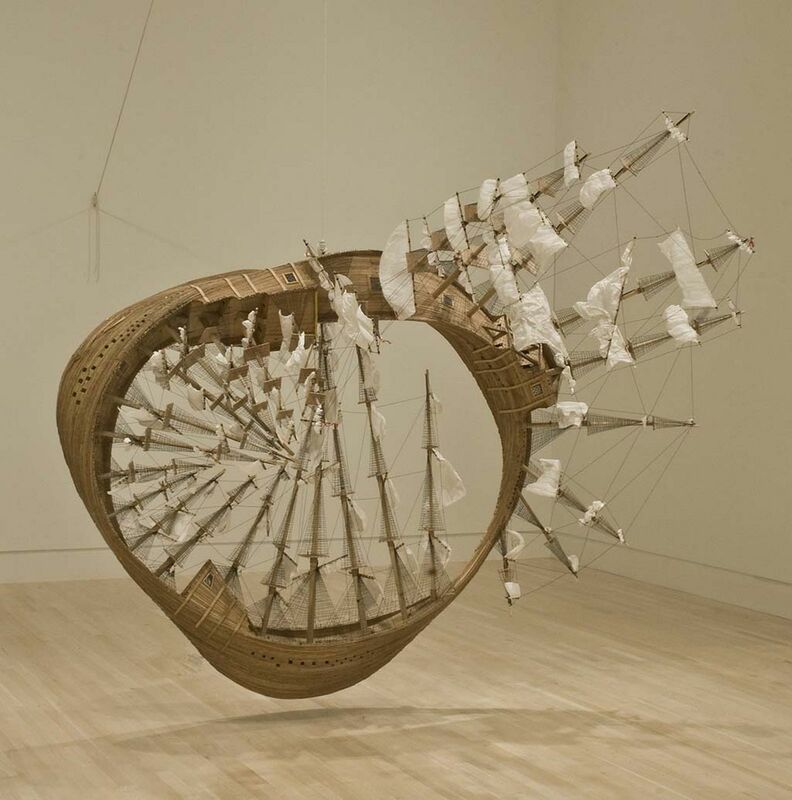 The lovely Möbius ship by artist Tim Hawkinson, the figurative cousin of the one-sided surface called the Möbius strip. Pun intended, I presume. Image is the courtesy of the artist.